You too can run 8's and get drive-thru in the same car. 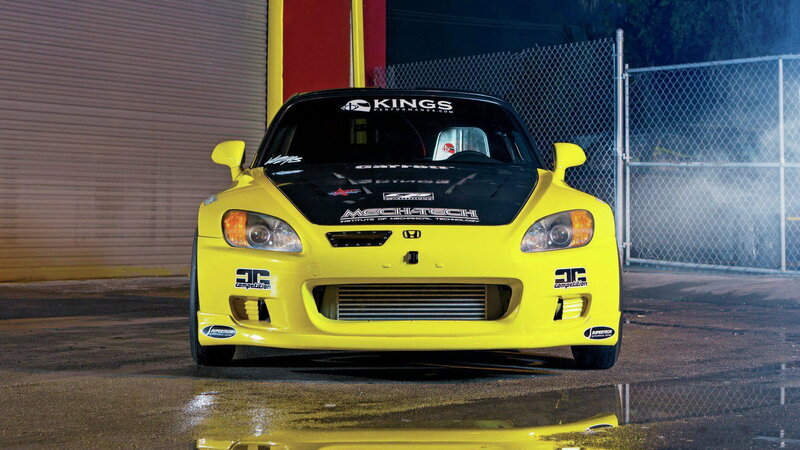 The day Gabe Ellingsen stood staring at a 2003 Spa Yellow Honda at a Subaru dealership in sunny El Paso, Texas, he had no idea he'd end up owning one of the fastest S2000s in the world a few years later. He'd driven halfway across Oklahoma, and clear across Texas, to check out the car he'd seen in the raft of pictures the dealer sent, a bone-stock example with only 42,000 miles on it. "I knew I would take it home for sure. They had it parked out front, clean, with the top down. We took the car out for a test drive. It ran absolutely amazing, and I fell in love with the car even more," Gabe remembers. Gabe got bit by the mod bug before he even made it home to Oklahoma City. He was happy with a few bolt-ons for the first year or so but, like many before him and many that will follow, eventually he needed more. In particular, the achievements of King's Performance, Red Star Motoring, and Pepo Besosa ignited Gabe's next wave changes. He had a local shop perform some heavier mods on his S2000 and took it to IFO Oklahoma in 2011 and 2012. His best result at that point was 11.33 at 135mph—fast, but Gabe expected more based on the extensive upgrades he'd had done. 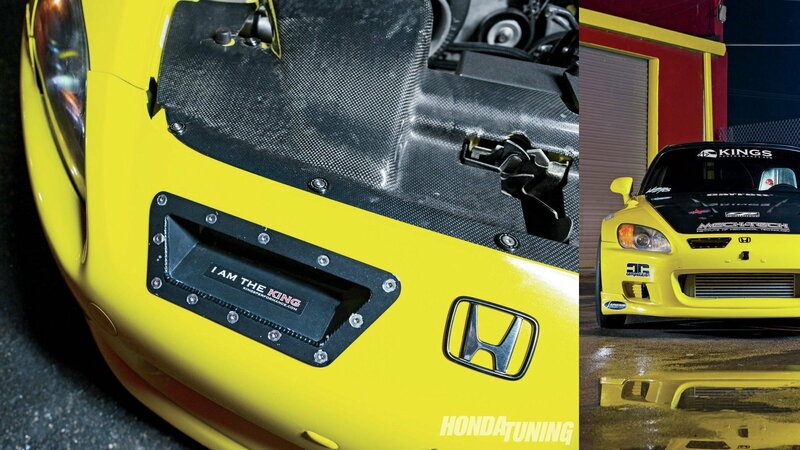 >>Join the conversation about Gabe's S2000 right here in S2Ki.com. Gabe explained the turning point: "The car was struggling with its performance. Fernando Reyes from King's Performance spoke with me daily about letting them take on the project and to join their team. One night, at literally like 2 a.m., I called Fernando and said, 'When can you pick up the car?'" King's picked up the AP1 and, with only tuning and no hardware changes, it ran a 10.01 at 145mph just two weeks later. 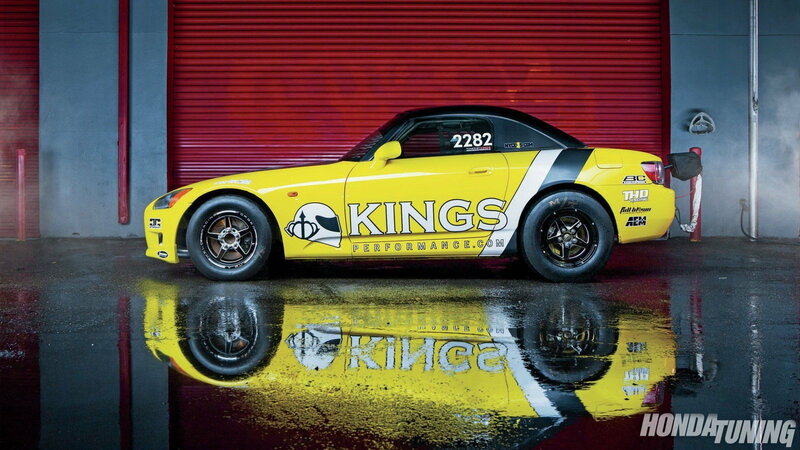 But Gabe sent his S2000 to King's for the full treatment, and in December 2012, after going through nearly everything on his car, they were down to 8.79 at 158mph. The team wasn't done yet, they began attracting sponsors, and they kept making adjustments after every pass, eventually setting a record at Drag Mania 2013 of 8.52 at 168mph. "King's Performance was able to prove that the project could do exactly what we intended. They began getting sponsors for the car. Many people claimed the car wasn't street legal, so we made a video. The car is still fully insured and legal to drive on the streets with current tags in Oklahoma." You can see a video of the record-breaking pass, and a hunger-fighting Burger King drive-thru pass, parachute and all, here. How exactly does one get an S2000 to run in the 8-second range? A major piece of that puzzle comes with getting power from the extensively modified F22C engine down to the pavement, and that necessitated going with a solid rear axle. King's went with a modified 8.8-inch Ford, fitted with Drive Shaft Shop 5.9 axles. 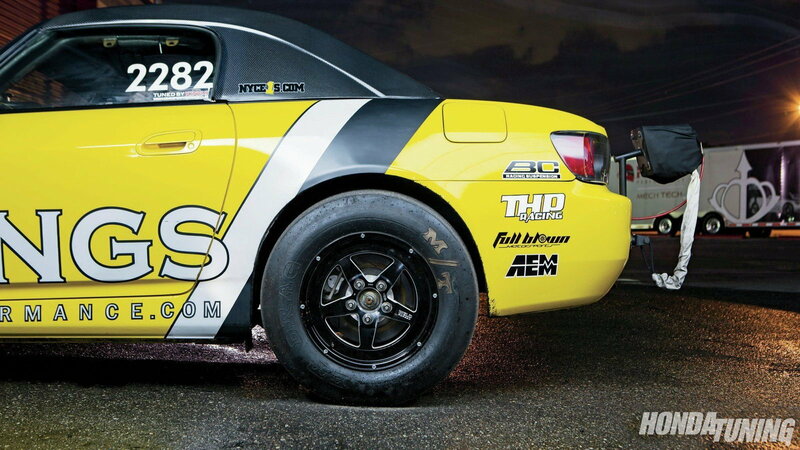 The axles, like most of the parts used on Gabe's AP1, were custom-built from specifications provided by King's Performance—that includes the rods, CP pistons, 2000cc injectors, and Supertech valvetrain. King's own custom parts include their Stage 3 head, intake manifold, and twin scroll exhaust manifold, all working seamlessly with the Garrett GTX4202R supercharger. 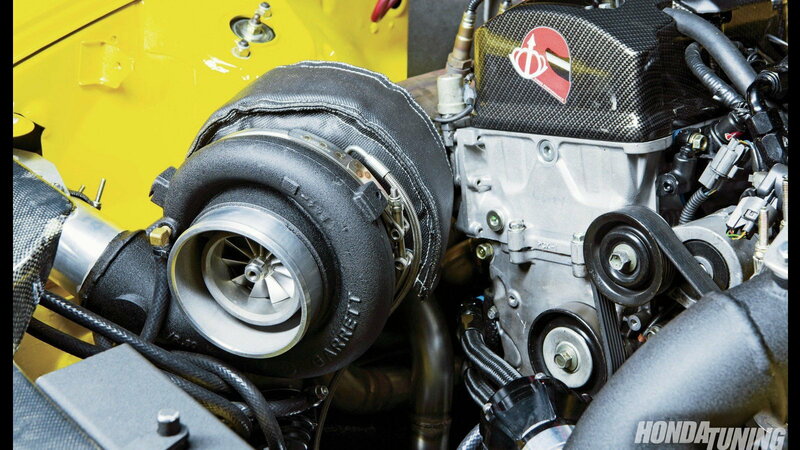 Other key ingredients include an AEM Series II engine management system, Benson open-deck sleeves, a TiAL Q blow-off valve, dual TiAL MV-S 38mm wastegates, and dual Bosch 044 external pumps. Power is transmitted through a King's Performance spec GForce four-speed transmission, coupled with a GSR H Pattern Dog Box, and a Competition Clutch triple disc clutch. Speaking of power, how's 1100 horsepower sound... over the original 215? Gabe's times are still dropping, but as of this wring he was down to 8.1 sec at 171 mph, you can watch that run here... if you have a spare 8 seconds.